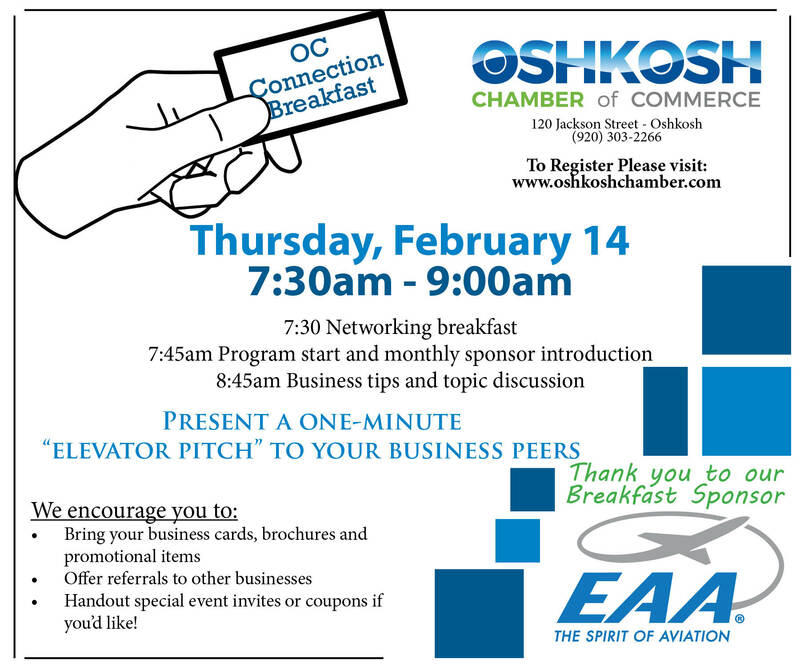 Thursday February 14th is the OC Connection Breakfast Sponsored by EAA. Please note it is Thursday this month and not Tuesday. Join us for the OC Connection Breakfast! This event is designed to bring businesses together to prosper. We encourage you to give business referrals, bring your business cards and brochures and present a one-minute "elevator speech" to your business peers at this great networking opportunity.